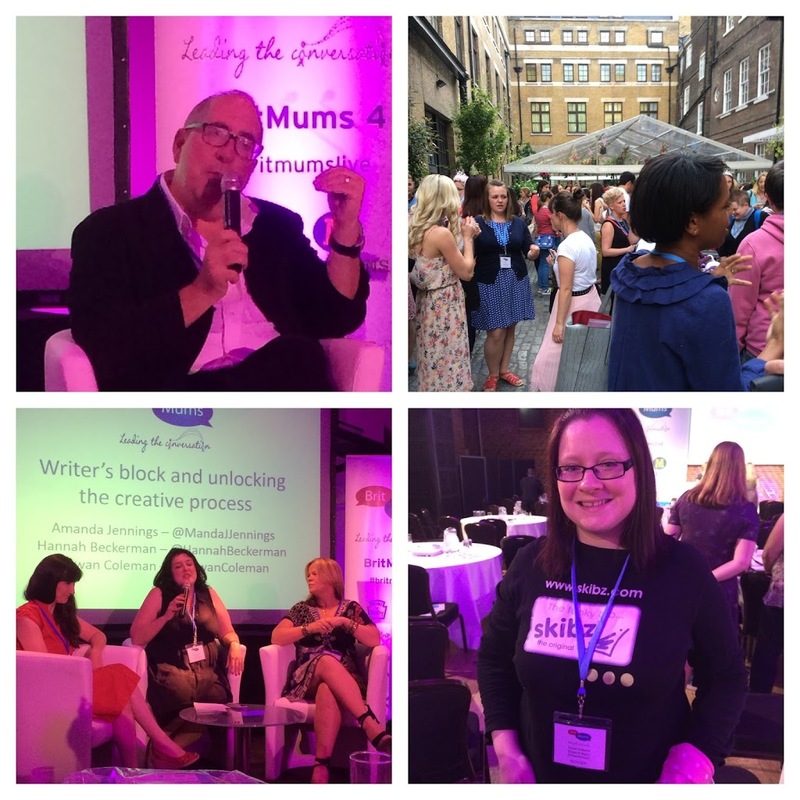 A few weekend’s a go, I was nervous, but I went to the blogging conference Britmums Live. I travelled down to London, it’s a long way from Glasgow, on the train thanks to the lovely Skibz for sponsoring me, I wouldn’t have gotten there without them. 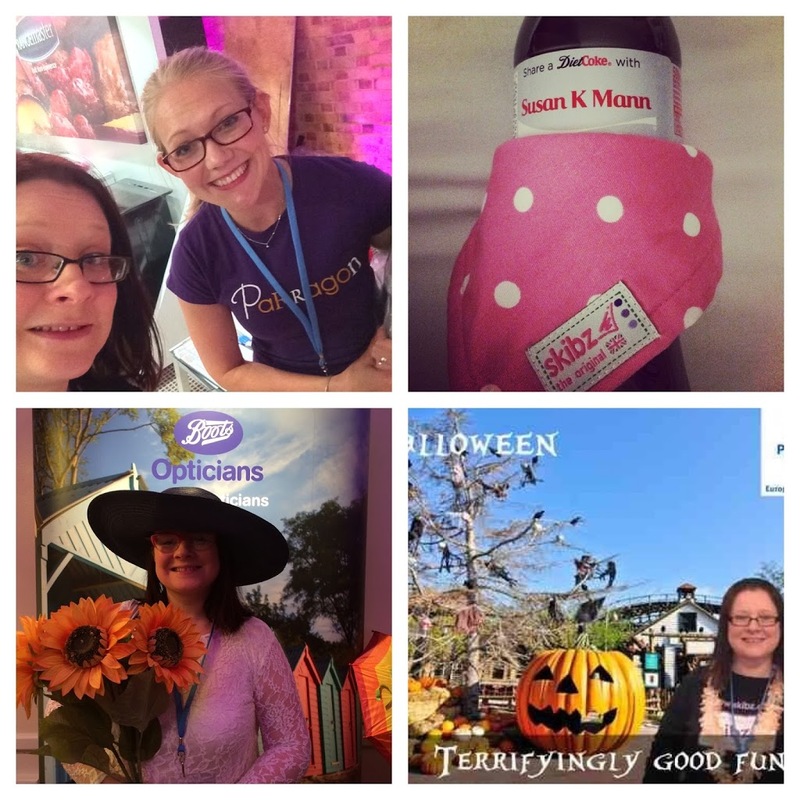 You can also read all about what I expected from Britmums Live before I went. So what happened when I got there…. I got off the train in Euston at 2:15pm and jumped on the tube with hubby to get to The Brewery were it was hosted. It started at 2pm, so I was a little late by the time I got there. Flustered, hot and bothered. I put on my badge and my Skibz bib, I accessorised it well thanks to the tips from Transatlantice Blonde who was a Bibs Style finalist, I met several people I already knew from previous conferences. Then settled down up the back to listen to the welcome and keynote by Emma Freud, which was good, but went on a bit. There were loads of bloggers there, 700 I’m told. Just look at them all. First stop, go and see the authors and my favourite one, Rachael Lucas. I bought yet another one of her books and she signed it with the most amazing inscription, no pressure or nothing Rachael. I got a few other books signed and tried to steady my nerves before giving my 9 minute book pitch to the incredible Luigi Bonomi from LBA Books literary agency, how cool is that. I am usually very cool, calm and confident talking and pitching to people I don’t know. However, on this occasion my hands were sweaty and I was nervous. He listened to my book idea, where I felt it was going, who it was aimed at and he read the first part of my very rough draft. It was actually written during nanowrimo. I explained it was rough and I hadn’t really thought he’d read any of it. I know rooky error. He didn’t laugh in my face, tell me it was rubbish and to give up. Phew. Instead he said my idea was very good, he liked it, I wrote well, just need to get a more descriptive, which is fine as it’s a first draft, his words not mine, and go for it. He said I could be the next Lani Taylor or Cassandra Clare. Encouraging words, from a extremely knowledgeable and lovely man. Off I went sweating buckets, but feeling inspired. My first session was Writer’s block and unlocking the creative process with the very lovely and inspiring authors Manda Jennings, Rowan Coleman and Hannah Beckerman. I have never really suffered from Writer’s block, but I did learn a lot about the writing process of different writes and some great tips on writing. It’s interesting to hear that some plan and plot out there books, some don’t, some lock themselves away to write and some just grab time when they can. If you’re stuck ask as “What If” question. Overall, you need to write. Don’t procrastinate, you have to commit to writing and get into that rhythm and that the Stephen King On Writing Book is very useful. Then straight into a session with Luigi Bonomi on How to Find an agent and write your book pitch. Now if only I’d been in there first. Ahh well, I learnt. They get over 100 submissions a week, so yours needs to stand out. They do all get looks at, but only very briefly. You have about 4 minutes from when the agent reads your pitch for it to grab them or it’s passed on to the thanks, but no thanks pile. You need to get your submission letter ready, it should be one A4 sheet with a paragraph on what your book is about, what is the market and what is the plot and your second paragraph about you. Your first page of your novel has to grab the reader and titles are important. Think of it as a business, look at first sentences what hooks them? 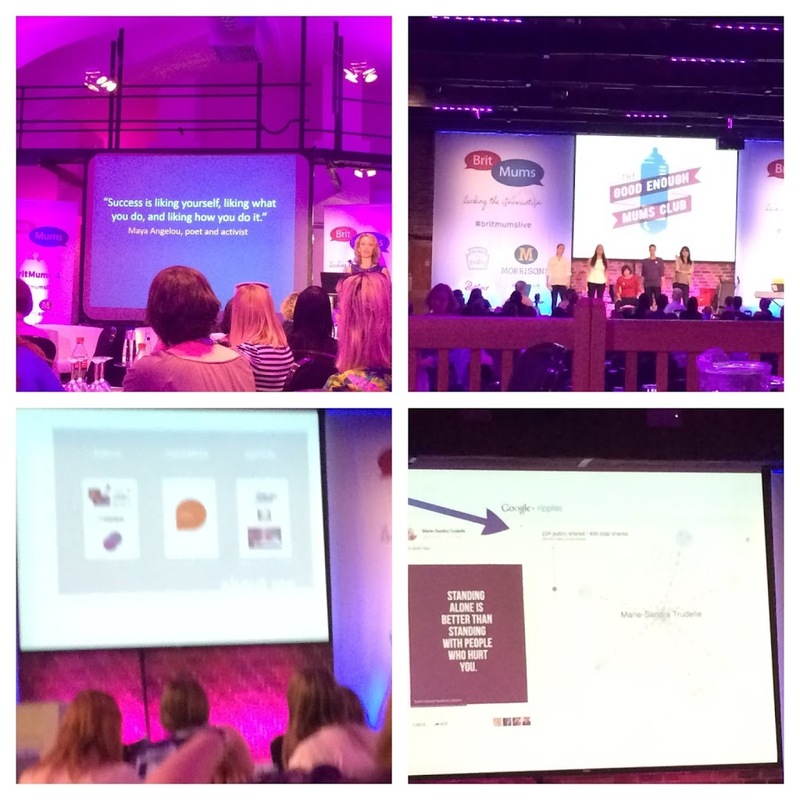 I really enjoyed both of these sessions and felt I came away with a better understanding and inspired. Day one over. The Bibs awards ceremony was different to what I thought it would be like, it was drawn out and was very quick. Lots of wonderful winners and lots of amazing finalists. Awards it was goodbye and out the door really. You couldn’t really talk during the awards ceremony so it was nice to meet up with some fellow bloggers for a bite to eat afterwards. The sponsors weren’t really for me, I didn’t really like the dressing up and having your picture taken, which you had to tweet. I did a couple, but there were quite a few. I did like the Heinz lounge where I could hide out for a bit gather my thoughts and have a nice little massage. The Morrisons room was good too, it has food.Coca-Cola were my favourites, well apart from the fellow Scots and Highland Spring, the lady at Coca-Cola told me I drank too much diet coke. I did tell her their sales would drop, but low and behold she much have done some Jedi mind trick as I haven’t touched a drop since. Social Media for Advanced people was the next one I did. Paul Armstrong Digital Orange Consulting, led this talk and he talked very fast. He knew his stuff and I did pick up quite a few things I didn’t already know. Ask yourself Who? What? How? When? and Why? when doing social media. Watch You Tube videos if you don’t know something. Google ripples are good, I’ve yet to know what they are, must investigate. Use quality images and if a tweet gets retweeted 4 times or more, re-use it. Google+ is better for SEO as facebook give your nowt. And most importantly keep content relevant. 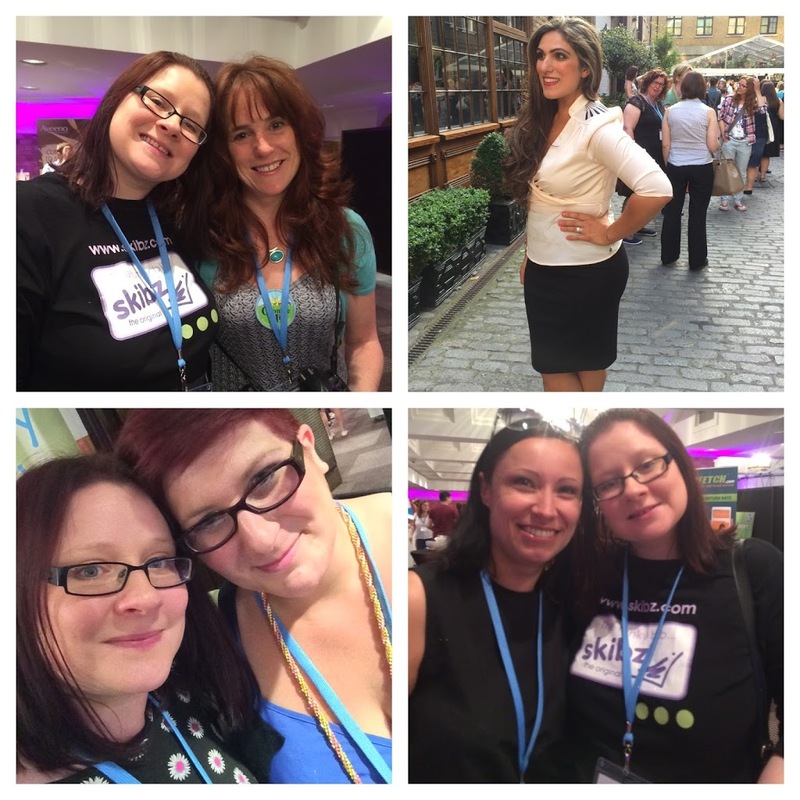 I got to hang out with lots of lovely blogger friends. I tried to go to the Affiliate Marketing session, but it was full and standing in the doorway was too noisy. That was the same with the Google+ session I wanted to do that one, but again I was too late by the time I got there. Slaps hand. I met more lovely blogger friends and some adorable birthday boys. I borrowed your photo Innocent Charm Chats of the adorable birthday boy. I really should have got some more pictures. The next one I got into to was How to successfully self publish by Emma Clark, a lovely lady who self published her book A Sister for Margot in 2012 when she didn’t get an success through mainstream publishing and literary agents. I enjoyed her session, but found it a bit dry to be honest. I didn’t know much about self-publishing and found out a fair bit, but didn’t feel she came across well. If you self publish for example with Kindle direct publishing you get 70% of royalties, which is a lot higher than publishing. You get to write, edit, design your cover and market your own book. You are in control. Uploading to Kindle direct publishing is simple and there is lots of information on how to do it. On your last page of your book, ask your readers to do a review. Reviews help sell books. The final session was on Story telling, by Emily Beecher of Good Enough Mums Club. She set us some tasks on writing about our childhood kitchen, etc. It was interesting and nice to have something practical to do. People want to feel emotion when reading. When writing always tell the truth and be brave. Don’t get stuck in your head, put it down on paper. And never take no for an answer. Had I read the bit about wine tasting, I’d probably have been in there. 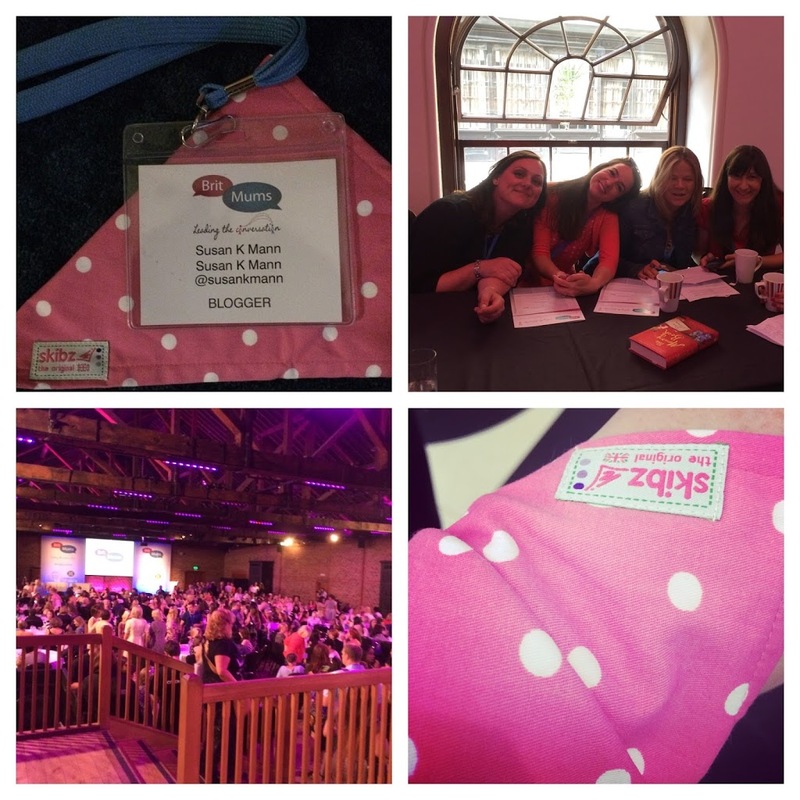 Finally the emotional keynotes read about by so many amazing bloggers from Sandy, All By Sea, Older Mum in a Muddle, Tired mum of Two, My Two Mums just to name a few, there were so many wonderful other bloggers and they all read from their heart and soul. There was not a dry eye in the room. Tissues should have been supplied. Lastly was a performance by The Good Enough Mums club. It was a musical about mums. I was very sceptical, but it was actually really good and funny. I was glad I stayed until the end to see it and if it tours close by, I will definitely go and see it. I went away from Britmums Live inspired to write more and dedicate the time to finishing my novel and getting it to where I want it. I got a lot of encouragement and enjoyed the writing sessions. Especially with fellow writer buddies like Chrissie, Kerry and Michelle I didn’t do a huge amount in the social media side of things this time around. 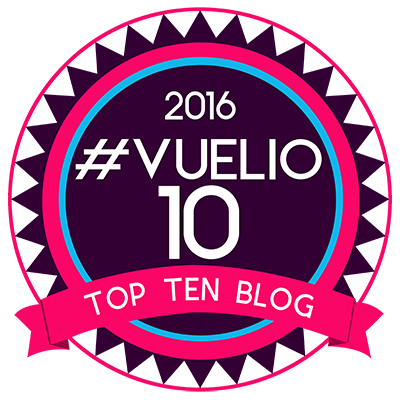 I do wish I’d went to the video one as I really fancy trying out some vlogging as encouraged by +Nickie O’Hara even though I reckon I’ll sound like a Scottish smurf, but that’s a whole other blog post or vlog post so watch this space. 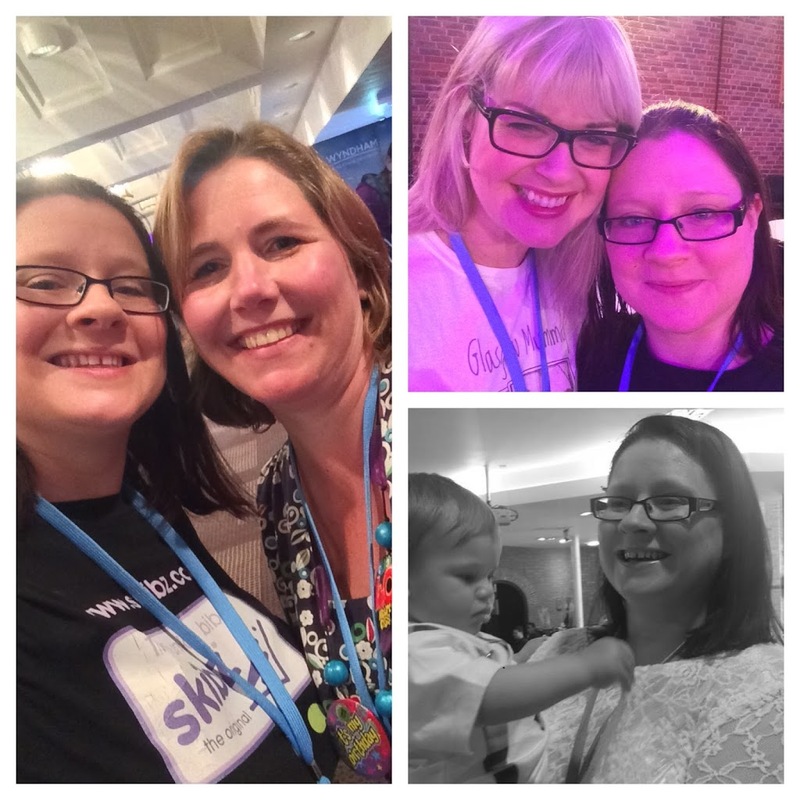 I met so many wonderful people and met up with so many people I call my friends, it is always lovely to socialise and see the faces you chat to everyday on social media. Love you guys, however there were many not there, whom I missed. It was an exhausting weekend and it took my quite a while to get over. I find it overwhelming, but exhilarating at the same time. What did you make of it all? I would like to thank Skibz for sponsoring me, enabling me to go there. If you don’t know much about skibz you can have a look at my review of them and do follow them on twitter and facebook. Their products are fantastic for babies and toddlers and I highly recommend them.